Vidya Kanthan began her formal music lessons in South Indian classical music from Srirangam S. Prasanna Venkatesh at the age of five. She showed keen interest in identifying ragams and reproducing songs from the age of two. 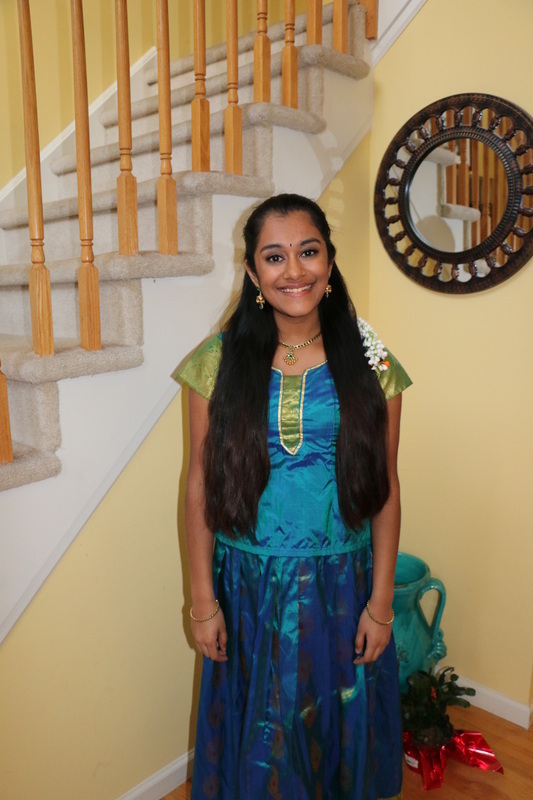 Vidya has been competing in the prestigious Cleveland Aradhana and CMANA music competitions since the age of seven and has won many prizes in both events in different categories over the years. In 2013, Vidya made a clean sweep of all seven categories that she entered in the CMANA competition and was given the prestigious M S Subbulakshmi award for her performance. In 2014 Vidya won the CMANA Advanced competition for which she will be awarded a concert in 2015 along with the CMANA Junior Musician title. Vidya has performed concerts in the December music season in Chennai India, and New Jersey since 2008 both individually and with her sister Sruti Kanthan, including in the renowned Krishna Gana Sabha. Vidya is a Junior in West Orange High School and plays the clarinet and piano. She is part of the wind ensemble in her High School band. Vidya loves composing pieces on the piano. She also plays singles for her high school Varsity Tennis Team. Vidya hopes to continue pursuing her passion for music and sports along with academics.